Public awareness of the global water crisis is growing. 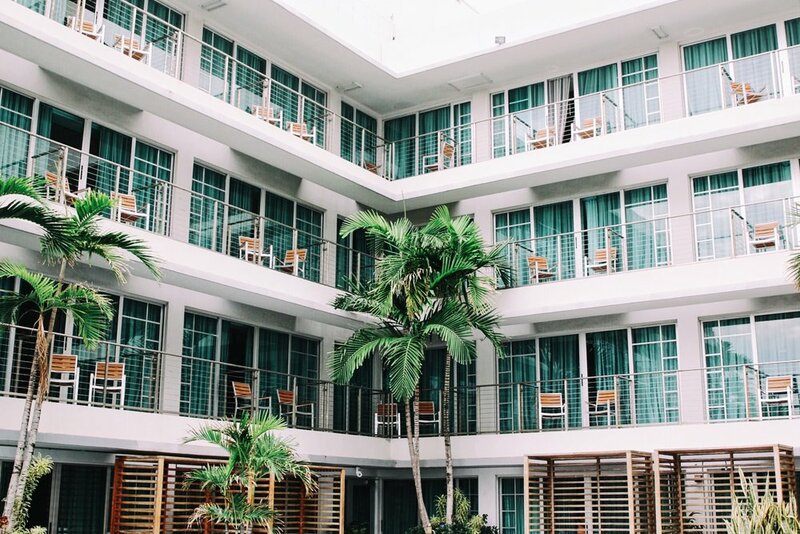 For hotels this means that environmental sustainability is a leading factor in purchasing decisions and customer demand. A TripAdvisor survey found that 79 percent of travelers look for eco-friendly accommodations. WITH THE USE OF THE ALTERED:NOZZLE, A HOTEL WILL SAVE 85-98 PERCENT OF THE WATER RUNNING TROUGH TAPS. AT LEAST 25.5 LITERS AND AT MOST 44 LITERS PER STAY. FOR A HOTEL WITH 100 ROOMS THIS MEANS 900,000 LITERS OF WATER SAVED EVERY YEAR. Water used in hotels and other lodging facilities accounts for approximately 15 percent of the total water use in commercial and institutional buildings in the United States, making it an industry with growing regulations. The price of water and wastewater services continue to increase. Drought conditions spur water restrictions and conservation mandates. Hotel owners/operators can save on utility costs and avoid regulatory fines by implementing water-efficient technologies and practices. Total water use per occupied room per day is about 100–200 gallons or 378 liters–757 liters. 30 percent in hotel rooms means: 113-227 liter/Day. In a very low calculation 7.5% goes through the tap in the hotel room by itself. This means one Altered:Nozzle can save between 25.5–44 liter/day in just one hotel room with just a 30 second fix. Arguably the simplest way to get the maximum impact both in terms of financial and water savings. If we look at an EPA case study of a water efficiency project in The Holiday Inn San Antonio, Texas, we see that a saving of one percent of water equates to monetary savings of 1,943 dollars/year in reduced utility and energy bills. If we estimate that the Altered:Nozzle is run 50 percent in Mist Mode and 50 percent in Spray Mode, the installation of the Altered:Nozzle means a net water saving of 6.6 percent. According to this case study that would mean a monetary saving of 12,823 dollars/year and water savings of 260,000 liters of water/year. With a potential investment of $ 7,940 that means a payback period of 7.5 months. Excluding the added value in customer demand, CSR and future regulatory costs.